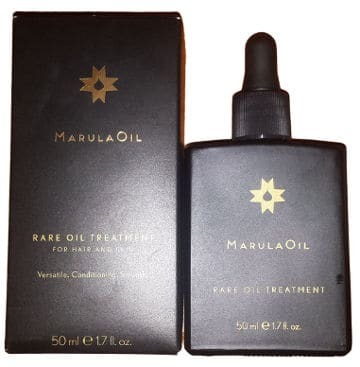 In my quest for effective and beneficial natural oils for skin care as well as hair care, I discovered Marula Oil and thought to shortly present its benefits for skin and hair and review some of the best quality Marula Oils. So, if you are using the rich in antioxidants Argan Oil for your skin, hair and nails, what would you say if you were to discover that Marula Oil, extracted from the kernels of the Marula tree, has all of the properties of Argan Oil with 50% more anti-oxidants? The Marula fruit also contains a lot more vitamin C than an orange, vitamin E and is rich in essential fatty acids. African women have been using this nourishing and healing oil for generations as a beauty secret to soften and treat their skin and even massage the skin of their children. But let´s see now how good Marula oil is for your skin, hair and nails. It deeply hydrates and heals the skin. Protects it against the environment especially sun and wind and reverses photo damage. Boosts collagen and elastin production and improves skin elasticity. Rejuvenates skin and reduces fine lines and wrinkles. Reduces redness due to its anti inflammatory and soothing properties. Heals blemishes faster and prevents acne breakouts. Makes skin smoother and radiant. Helps fight the frizzies and make hair softer, shinier and more healthy looking. Softens and strengthens brittle nails. So, now that we have got an idea of the features of this great natural oil, let´s have a look at the reviews of some excellent quality Marula Oils I have selected. The Slice of Nature Marula Oil is a cold pressed Marula oil that is sourced from wild harvested Marula Trees. This is a totally pure oil free of additives, colors, preservatives and fragrances. It is ethically traded and free of GMO´s. It has a shelf life of more than 2 years and is contained in a 1 ounce amber glass bottle that prevents its contents from light. It comes with a dropper applicator. It is light, fast absorbing and does not feel greasy. Hydrates both skin and hair effectively. Makes skin smooth, plump soft and glowing. Fades discoloration and acne scars. Makes eye fine lines less noticeable. Lessens dandruff and reduces hair frizziness. This is a thinner natural oil compared to Argan Oil and users find it extremely cost effective relating to other a lot more expensive Marula Oil Brands that they purchased in the past. The Shea Terra Organics Marula Oil is a 100% pure virgin oil that is completely free of chemical additives or added perfumes and comes in a 2 ounce amber bottle with a dropper applicator. It is also sustainably sourced and fair trade. According to the company, Marula Oil is one of the richest in antioxidants natural oils and is good for both dry and oily skin as well as scalp and nail cuticles. Reviews and ratings for this product are very good. Let´s see what users say about its effectiveness. It moisturizes great without causing greasiness, breakouts or any irritation. It absorbs quickly and easily. It makes skin supple, smoother and softer. Soothes skin and evens complexion. Helps with red blotchy skin and even surgical scars. People like its light nutty smell which evaporates within a couple of minutes and say that very little goes a long way. They are also pleased with its price. 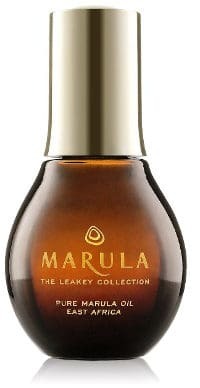 The Marula Pure Marula Facial oil comes in an elegant amber 1.69 ounce amber bottle that looks more like a perfume bottle than a body oil bottle. This product is 99% Marula Oil and 1% of essential oil blend of Linalool and Limonene which is totally natural. The reason that they are mixing Marula oil with this essential blend is probably to make its nutty smell a bit lighter and fresher and maybe make the oil a little less concentrated although Marula Oil´s texture is anyway light. Great at moisturizing all types of skin including dry skin. Goes on easily and smoothly. Makes skin soft, smooth and glowing. It works on burns and scars. Has an amazing fresh scent. Does not leave any traces of oil. This Paul Mitchell Marula Oil Treatment contains Marula oil and some other ingredients. It is designed for hair and skin and is cold pressed. It comes in a 1.7 ounce container with a dropper applicator. Users reviews are very good with people focusing a lot on its benefits for their hair, maybe a little more than on its benefits for their skin. So, let´s see what their feedback is. Goes on smoothly like silk, it is light and feels luxurious to use. It has a nice fresh scent. Moisturizes very well helping to relieve dry skin. Great for leaving hair shining, smooth and more manageable without weighing it down. Excellent at conditioning hair and controlling frizziness. Here I would like to add that this oil contains fragrance, so it is not a 100% natural product and although users love its smell, I would suggest that users with sensitive skin be aware of the fact that it contains fragrance. 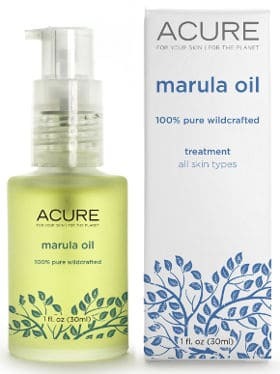 The Acure Marula oil is a cold pressed unrefined and 100% pure oil that comes in a 1 ounce pump bottle and is silicone, paraben, phthalate and artificial fragrance free. It leaves skin velvety soft and glowing. Moisturizes, smooths and plumps the complexion reducing fine lines. Calms inflammation and reduces skin redness. Goes on easily and absorbs quickly. It has a non-oily feel. Users experience fewer acne breakouts. 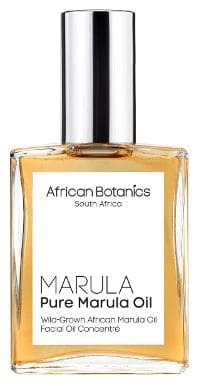 The African Botanics Pure Marula Oil is a 100% pure cold pressed and free of chemicals Marula Oil which is rich in vitamins C & E, antioxidants and essential fatty acids. It is great as a daily moisturizer for all types of skin and ideal for dry, dehydrated and Sun damaged skin. Its anti inflammatory properties make it also useful for anti aging, stretch marks, scars and eczema. This regenerating oil comes in a 2 ounce pretty looking glass bottle that looks like a perfume bottle. People are quite pleased with this product and report that their skin feels nicely hydrated, fresh, super soft and smooth. It can also be used as a base for makeup, adding a nice glow to your face. The only drawback I could find though is its price which is quite high and I could not find any obvious reason for that. 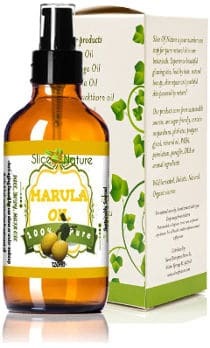 In conclusion, by searching more into the best Marula Oil reviews, one can see that users are really pleased with the positive effects this healing, nourishing and moisturizing natural oil has on their skin as well as hair. This is an effective moisturizing oil that you can either use on its own or by adding a few drops of it into the creams and moisturizers you are commonly using.